Large trucks are a familiar sight on our interstate highways. Over the last 60 years, trucking fleets have revolutionized the way that we ship goods in this country. However, the trucking industry is not without its downsides. Large trucks pose a serious hazard on our roads. Truck accidents can cause severe injuries, and in some cases, they can be deadly. If you or a loved one has been injured in a truck accident, attorney Joe Horrox will evaluate your case and determine liability. In many cases, he may be able to get you financial compensation to cover all or part of your medical bills. To learn more about common trucking accident injuries, contact our Ormond Beach area practice today. In 2012, there were 3,802 large trucks involved in fatal accidents. This is a 5 percent increase from 2011. Overall, however, truck accidents seem to be occurring less frequently. Over the last decade, the number of trucks involved in fatal accidents dropped by 10 percent. The number of trucks involved in injury-producing accidents dropped by 18 percent in the last ten years. 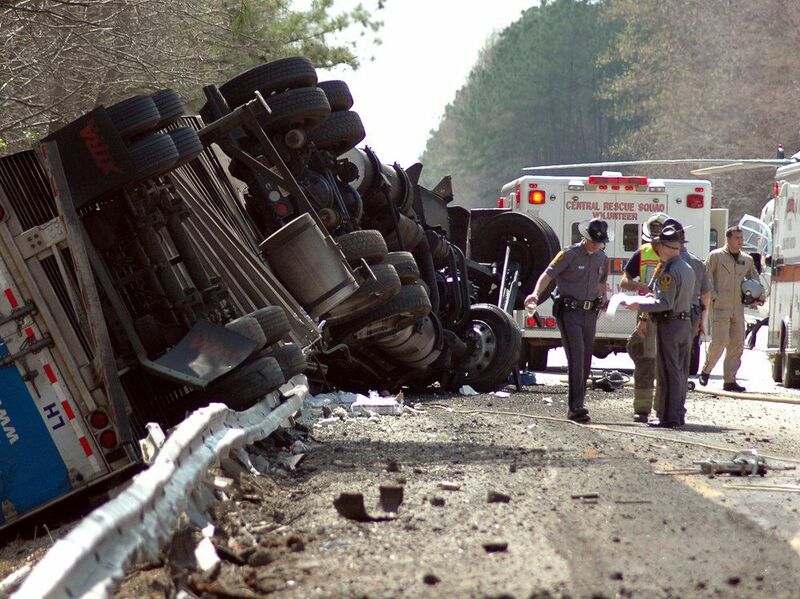 Although the number of total truck fatalities may be decreasing, accidents are still a huge concern. Here in Florida alone, thousands of truck accidents occur each year. The Florida Department of Highway Safety and Motor Vehicles reports that in 2010, there were 3,329 truck accidents; of these 58 were fatal and 1,821 people were injured. These injuries can leave you with prohibitive medical bills, impaired mobility, and emotional trauma. After a particularly severe accident, you may be out of work indefinitely. In the worst situations, you are facing the wrongful death of a loved one. Because there are such varied causes of truck accidents, it can be difficult to determine who is at fault. One or both drivers could be held liable. In other cases, the trucking company could be held responsible. For example, the company may be at fault if the accident was the result of insufficient training or a poorly maintained vehicle. Attorney Horrox will evaluate every aspect of your accident. He will talk to eyewitnesses and accident reconstruction experts, if needed. In short, he will do everything in his power to determine who or what caused your accident. Then he will obtain your rightful compensation through negotiation or litigation. Do not let the effects of a truck accident take over your life. We will get you the money you deserve so you can get your affairs back in order. Schedule an appointment today and find out if you are eligible for compensation.